The Leadership Board also serves as an advisory board to our dean on matters related to the growth and development of the College’s private endowment. The board supports student scholarships through members’ dues and gifts to the Collegiate Fund and provides faculty support through Leadership Board Faculty Fellowships, the annual Outstanding Commitment to Students Award, and the Nobel Laureate Lectureship Series, which brought Nobel Prize winners to campus to lecture and interact with students and faculty. Leadership Board members also help recruit students to the College; assist students with professional internship and work experiences; lend their energy and influence to the advancement of teaching and research; develop working relationships between board members and faculty; and work to enrich student experiences. The Arty Party is an annual fundraising event sponsored by the College’s Leadership Board and coordinated by the board’s Fine Arts Committee.  Each year, The Arty Party showcases one of the five fine and performing arts programs in the College of Arts and Sciences: visual arts, creative writing, dance, music, and theatre. Proceeds from the event provide funds to support academic needs in UA’s fine and performing arts programs. For more information, visit the Arty Party website. Leadership Board membership is by invitation following a vote to accept by the board. Dues are a minimum of $1,000 annually and become part of the Collegiate Fund. For more information about the Leadership Board, read our Leadership Board Brochure or contact Kevin Reid, director of College support boards, at krreid@ua.edu or (205) 348-7009.